A stone’s throw from the Oberkampf metro station, I tested a cooking class in the Italian concept store (run by real Italians!) 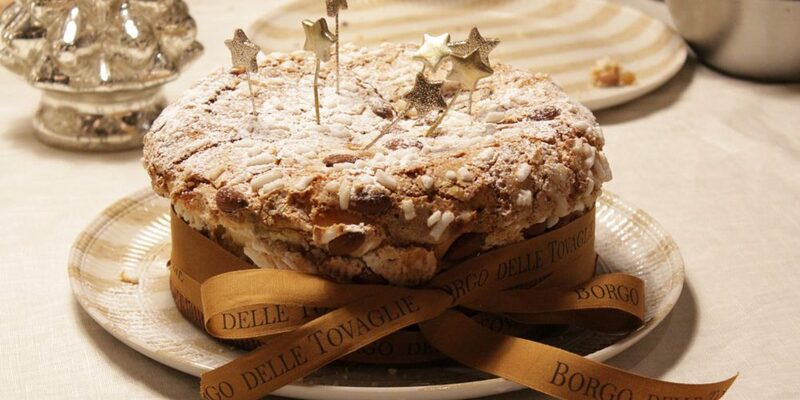 Borgo Delle Tovaglie, to learn how to make the famous Frozen Panettone from Bologna. Panettone: a mythical Italian cake! How to choose a good Italian artisanal panettone? 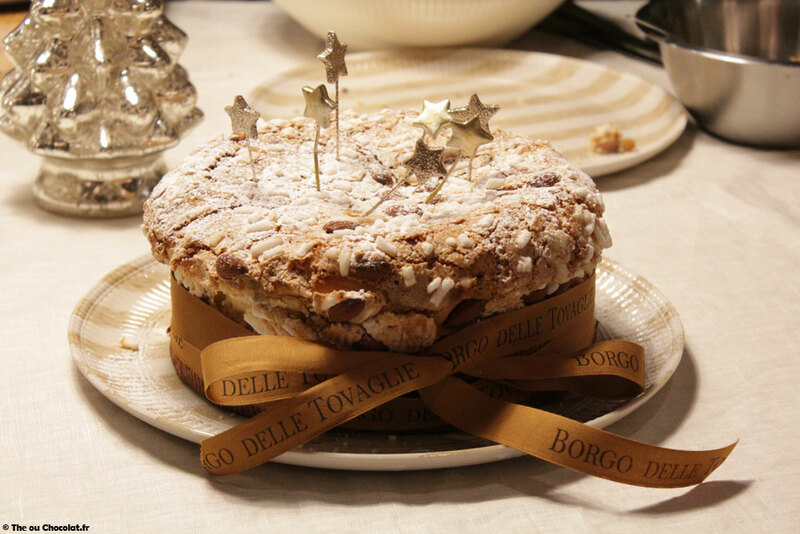 Borgo Delle Tovaglie is the story of a family that opened its decoration store in Bologna, Italy. 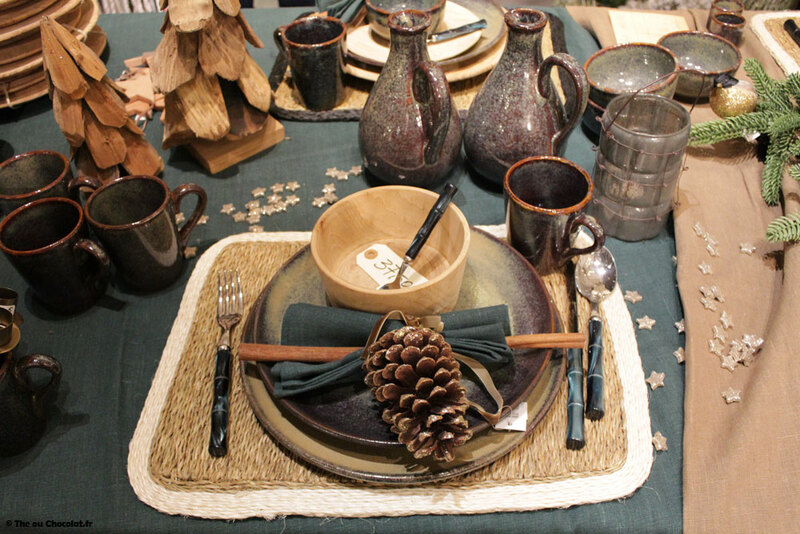 Then, in love with France, part of the family moved to Paris to open a 2nd store, which became a concept store: in addition to the decoration, the Italian family also brought a grocery corner, and family recipes! Borgo Delle Tovaglie is therefore a warm place where you can eat very well, and where you can also buy all the decorations, with a beautiful decoration area at the back of the restaurant. An explosive concept that might seem strange, but in fact we feel really good when we enter this space. The bosses wanted to take the warmth of their concept store even further, by regularly offering cooking classes on their Facebook page. For only 10€ (I guess it depends on the recipes, but that was the price for this course on Panettone), you learn to make their family recipes, and if you stay for dinner or drink afterwards, Borgo Delle Tovaglie offers you a drink or dessert: nice! 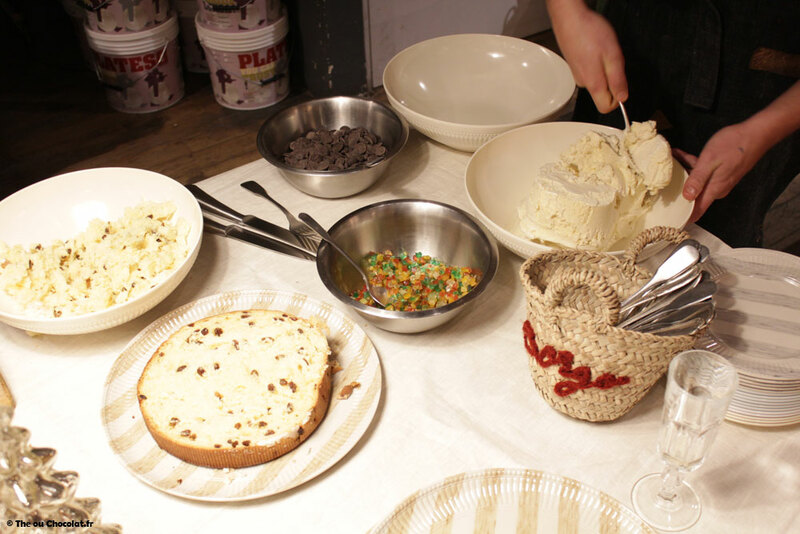 I took my first cooking class with Borgo to learn how to make their family recipe for panettone stuffed with ice cream, candied fruit and chocolate chips. 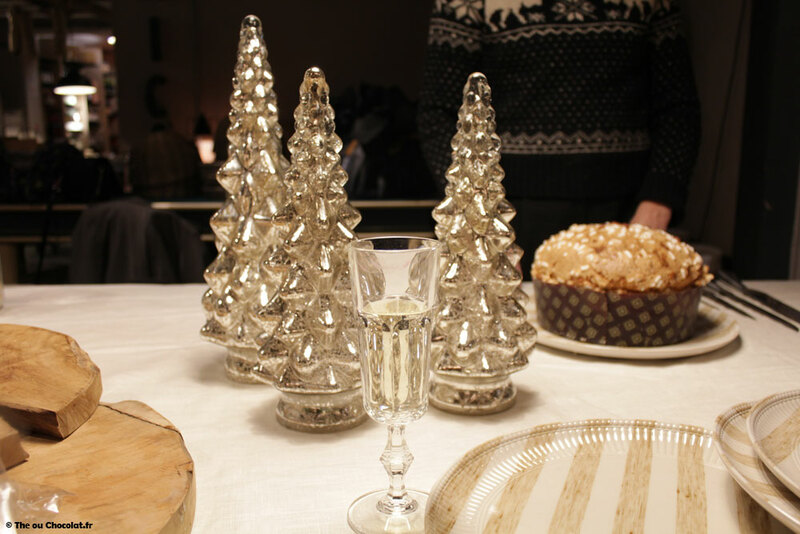 The course began with an explanation of the place of panettone in Italy. Panettone is really THE Italian cake par excellence. It’s a bit like champagne for the Remois, or vodka for the Poles (I know what I’m talking about ^^): Italian families are always one step ahead in a closet. It can be served as a breakfast to be eaten plain or with jam, enjoyed at tea or snack time, or as a dessert for lunch or dinner. In the latter case, it will often be accompanied or covered with vanilla or chocolate cream to make it a little less dry. Italian Panettone is a kind of homemade brioche, with good butter and fresh eggs: this is an important point that the family has stressed, because many industrial panettones are not made with these fresh ingredients, and as a result it greatly changes the final taste of the cake! Like any brioche, the production is quite long: it is necessary to knead, to make rise, etc…. 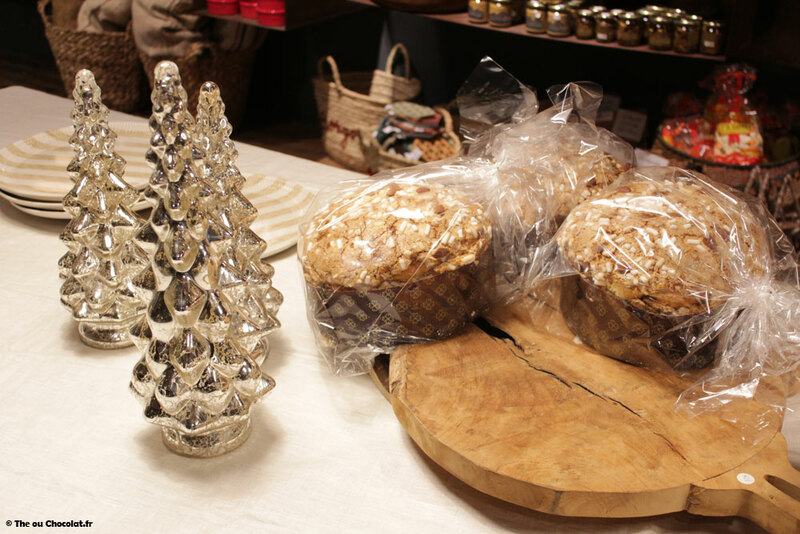 As a result, Borgo Delle Tovaglie’s chef advised us to buy a real traditional panettone directly, because even they do this because of the length and difficulty of making the panettone. Moreover, they import into their small grocery store real good panettones that smell like butter, and offer them for sale: count 25€ for a big 800g panettone. 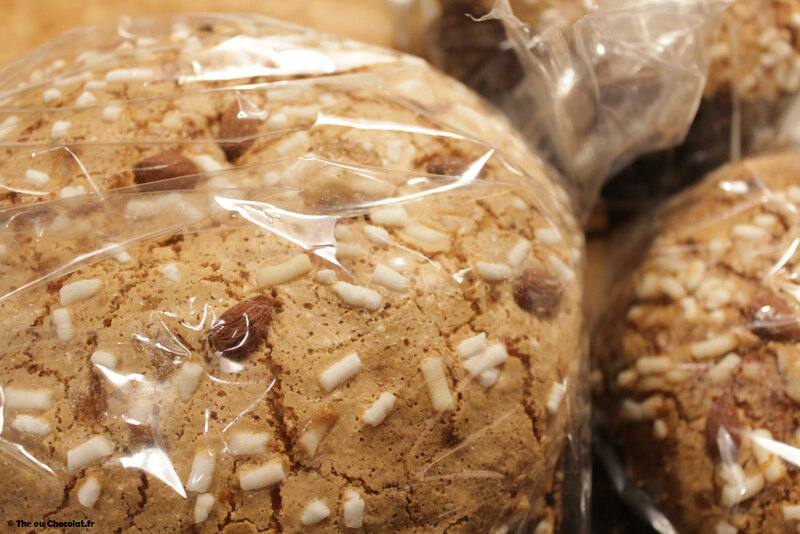 How to choose a good traditional Italian panettone? 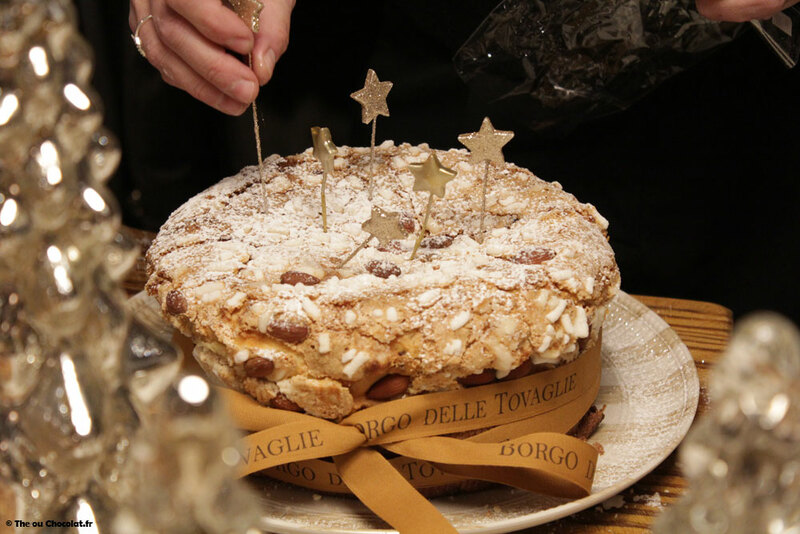 The Borgo Delle Tovaglie family has agreed to share with us their family recipe for improving the classic panettone. Indeed, rather than covering it with vanilla cream, the family has become accustomed to turning it into an iced and filled cake! In addition, the recipe is child’s play, but looks really good! 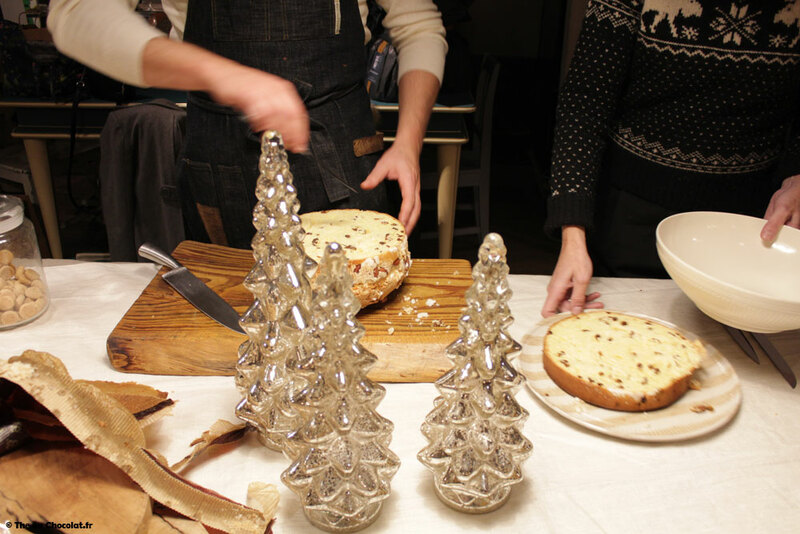 You will also need to make room in your freezer to put the panettone in before serving it! First cut the base of the panettone: remove about 2cm from the bottom and set it aside to close the panettone afterwards. Then turn your panettone over to put it “on its head” to move on to the next step. 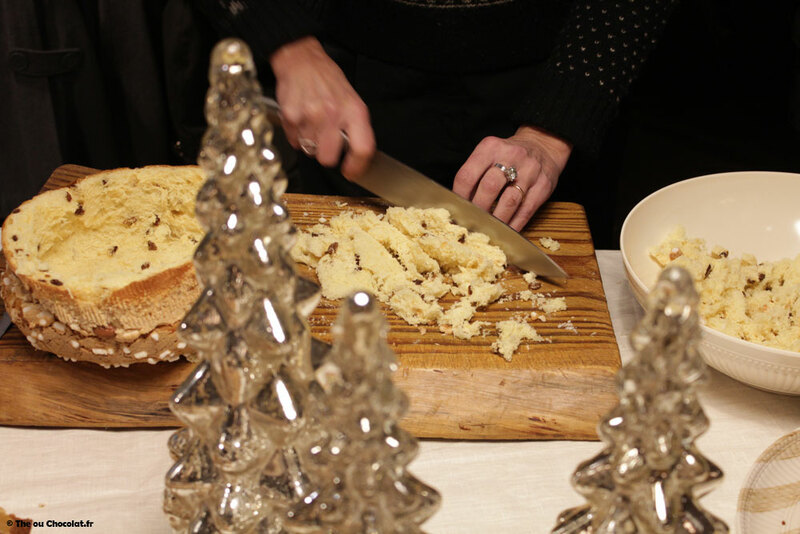 Gently scoop out the panettone with a knife, leaving at least 2cm of crumb on the sides to keep the cake in good shape. Don’t try to remove everything at once, but proceed piece by piece to avoid damaging the cake. The crumb thus removed will serve as a basis for the stuffing. Chop it into small pieces. Take out your vanilla ice cream about 15/20 min beforehand, so that it becomes malleable. Mix it with a tablespoon, or if you do not have the strength in your robot, so that it is well homogeneous and can be easily incorporated into the filling. It is finally the stage of preparation of the stuffing! 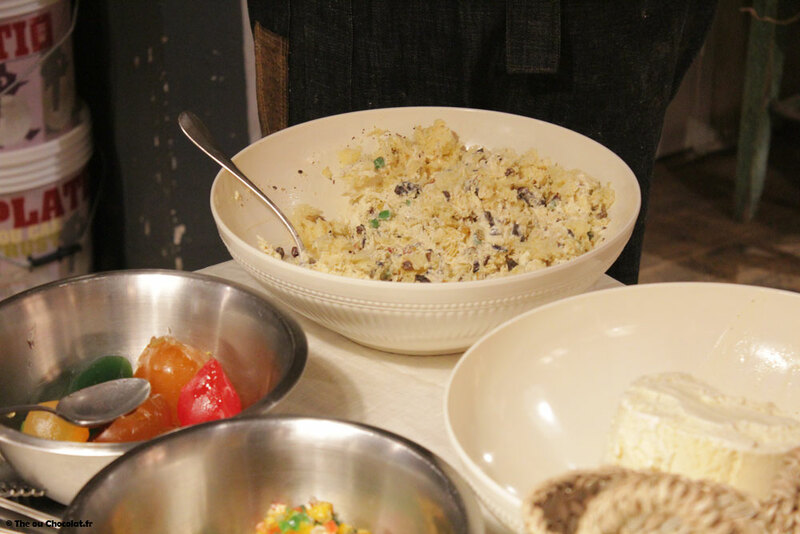 The crumb cut into pieces, the vanilla ice cream block, is mixed and a few handfuls of candied fruit and chocolate chips are added as desired. 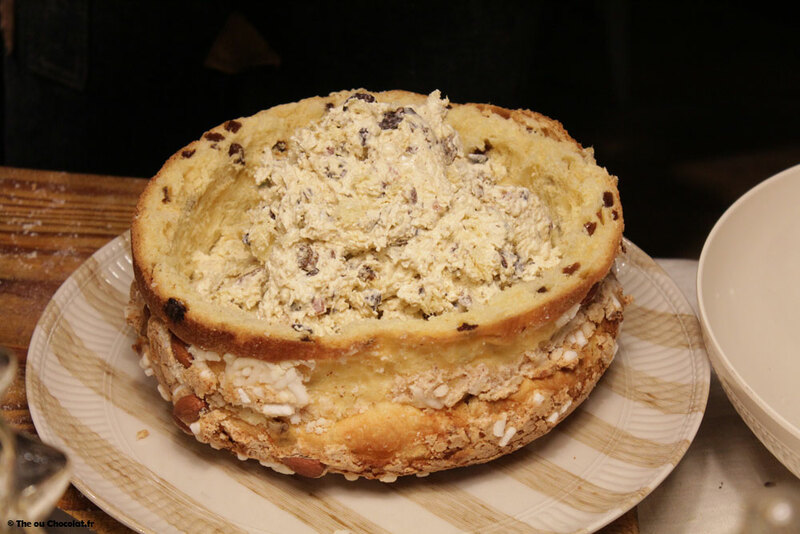 The hollowed out panettone can then be filled with the prepared stuffing. Then we take our time to put the base back and turn the panettone over! Once closed and placed upright, it should normally be put back in the freezer for half an hour or more if necessary to allow the ice cream to reform and become a beautiful ice cream cake. During the preparation of this recipe, we ate it right away because as you can see on the picture, the ice cream still had a nice consistency, but I think it’s even better in a well iced version! 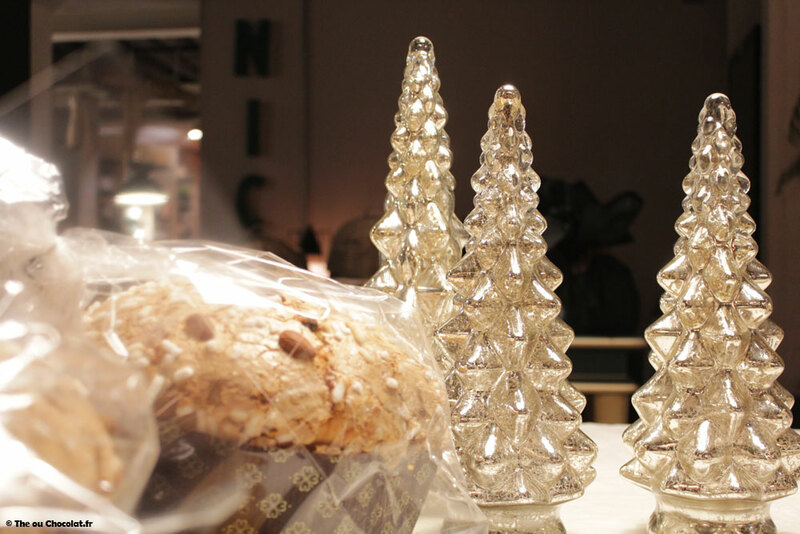 To impress your guests and make a beautiful holiday cake, sprinkle icing sugar on top of the panettone, and prick some decorations. You can also dress it with a beautiful wide ribbon around its base to hide the part cut with a knife. There you go! 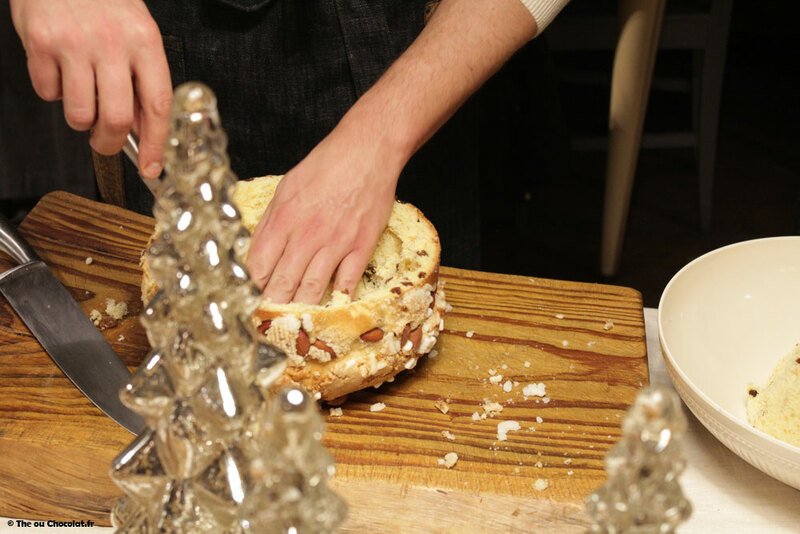 You know the secret to a superb stuffed panettone, delicious and festive as you wish! Be careful, remember to take it out of the freezer 15/20min before serving it so that it is easier to cut and better to eat 😉 ! Of course, this is ONE possible recipe, but from this technique, many variations are possible, taking for example rum-raisin ice cream, chocolate ice cream… or personally I thought of making a chocolate mousse inside the panettone to make it a kind of Italian version chocolate charlotte. I think that this charlotte revisited with almonds and sugar cubes on top of the panettone must be very interesting to taste! I will soon tell you about the Borgo Delle Tovaglie all-you-can-eat brunch that I also tested, because I enjoyed it so much that I can’t wait to go back!